If you are looking for a food or drink trophy, you came to the perfect place! 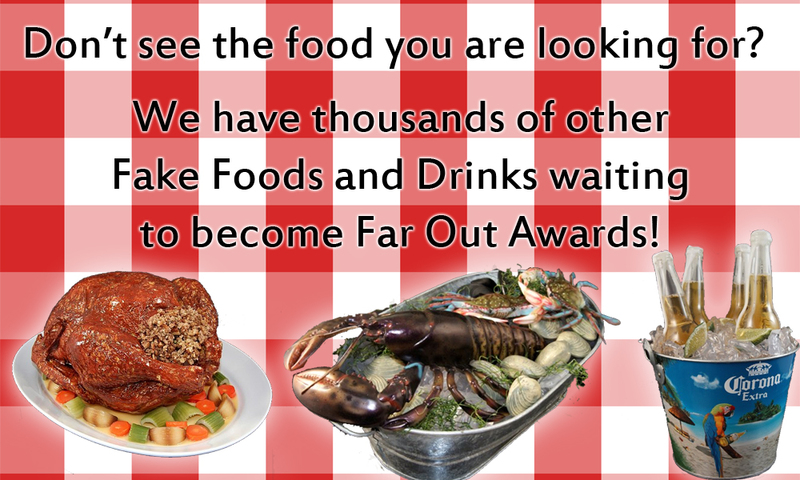 Far Out Awards is the only place with realistic food and drink awards. Anything from a taco trophy to a red wine trophy, even a pig in a chef's outfit holding a bottle of wine! All of our food items can be customized and if you do not see the food you are looking for, please contact us! All of our drink trophies are made to order, so if you want a personal item inside your beer, no problem! We can also custom color any drink. For example, we can make a green beer, a dark beer, and even a blue martini. With Far Out Awards, the only limitation is your imagination!